Roger Federer made a winning return to action at the Cincinnati Masters on Tuesday, as Nick Kyrgios survived an amusing equipment problem and Rogers Cup revelation Stefanos Tsitsipas fell at the first hurdle. Federer is the highest ranked player in the field in Ohio in the absence of Rafael Nadal and the world number two had little trouble advancing at the expense of Peter Gojowczyk, as he seeks a first title at the ATP Masters 1000 event since 2015. Kyrgios had to battle hard to overcome Denis Kudla, having initially mislaid a crucial aspect of his ensemble, while David Goffin gained revenge on behalf of the big names surprisingly dumped out of the Rogers Cup by teenage upstart Tsitsipas. Playing for the first time since turning 37 last week, and returning to competitive action after a break following his surprise Wimbledon loss to Kevin Anderson last month, Federer showed few signs of rust in getting past Gojowczyk. The Swiss won 6-4 6-4 as he attempts to win this event for the eighth time, having first triumphed here in 2005. 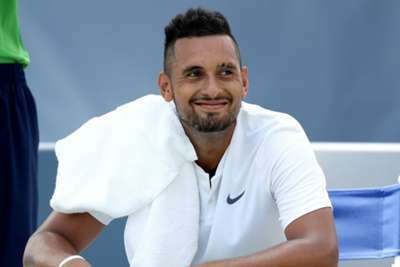 Mercurial Australian Kyrgios delivered another memorable moment in his unusual career, the 15th seed realising when he reached the court that he had left his tennis shoes in the locker room. Apologising in his socks to Kudla for the delay while the footwear was retrieved, he recovered from going a set down to win 6-7 (2-7) 7-5 7-6 (11-9). Tsitsipas was a surprise finalist at the Rogers Cup, losing the decider to Rafael Nadal after knocking out Dominic Thiem, Novak Djokovic, Alexander Zverev and Anderson in Toronto. But there will no repeat of those giant-killing feats in Ohio, where 11th seed Goffin dispatched the young Greek 7-5 6-3. After pulling out of the Rogers Cup due to injury, Hyeon Chung returned to action and came back from a set down to beat Jack Sock 2-6 6-1 6-2. Lucas Pouille (16) was the only seed to fall on Tuesday, Leonardo Mayer ousting the Frenchman 7-6 (9-7) 6-4. Other than in the first-set tie-break, Pouille was broken just once, in the penultimate game of the match, while Mayer held throughout and served out the final game to love to book a daunting meeting with Federer. In another upset, qualifier Marius Copil defeated Philipp Kohlschreiber in straight sets. Borna Coric, Milos Raonic, Denis Shapovalov and Karen Khachanov were among the other players to progress. 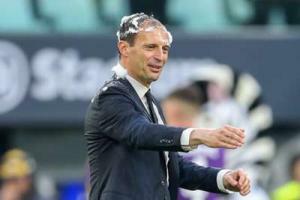 After leading Juventus to yet another Serie A title, Massimiliano Allegri is ready to begin work on strengthening his side.